I'm one of those people who actually really likes wearing eyeshadow but kind of struggles to find time to apply it, so when I spy a product that looks like it can give me a gorgeous shimmery eye with ease then you know I'm gonna try it out! 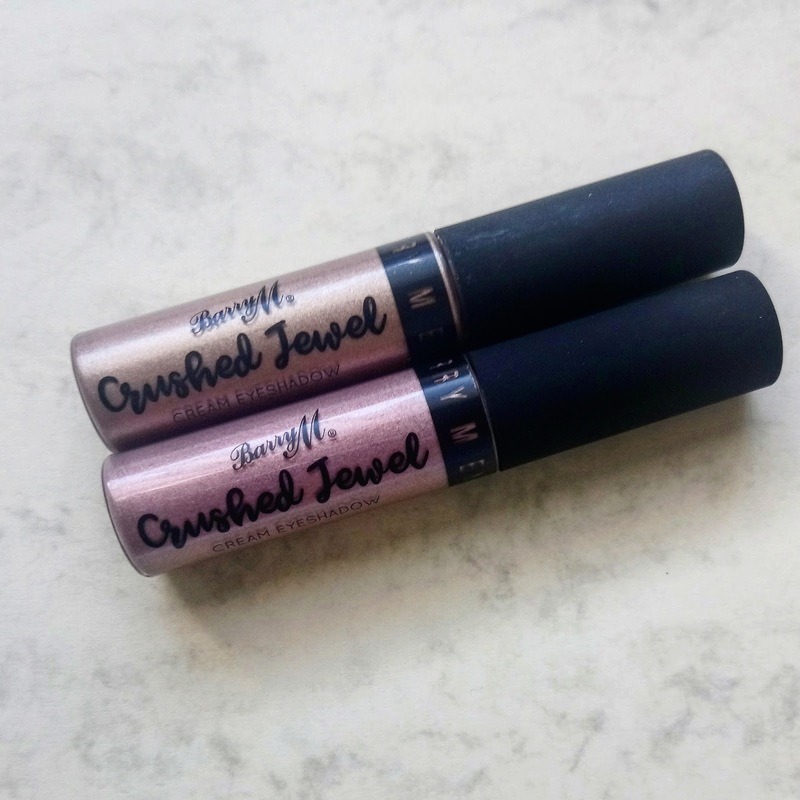 I spotted the Barry M Crushed Jewel eyeshadows in vlog I think, I can't remember which vlog but it must have been a PO Box Haul kinda thang and thought I should check them out instore. I found the Crushed Jewel Cream Eyeshadows in my local Superdrug as Boots didn't have them and they were actually running an offer of "buy two products and receive a FREE Illuminating Strobe Stick" so I went with the intention of only buying one and ended up with two. These cream eyeshadows actually remind me of the Rimmel Scandaleyes cream eye shadow sticks which I actually really loved back in the day. I was torn between the shade range because there were so many gorgeous ones to pick from but in the end I opted for Blissful and Pillow Talk . 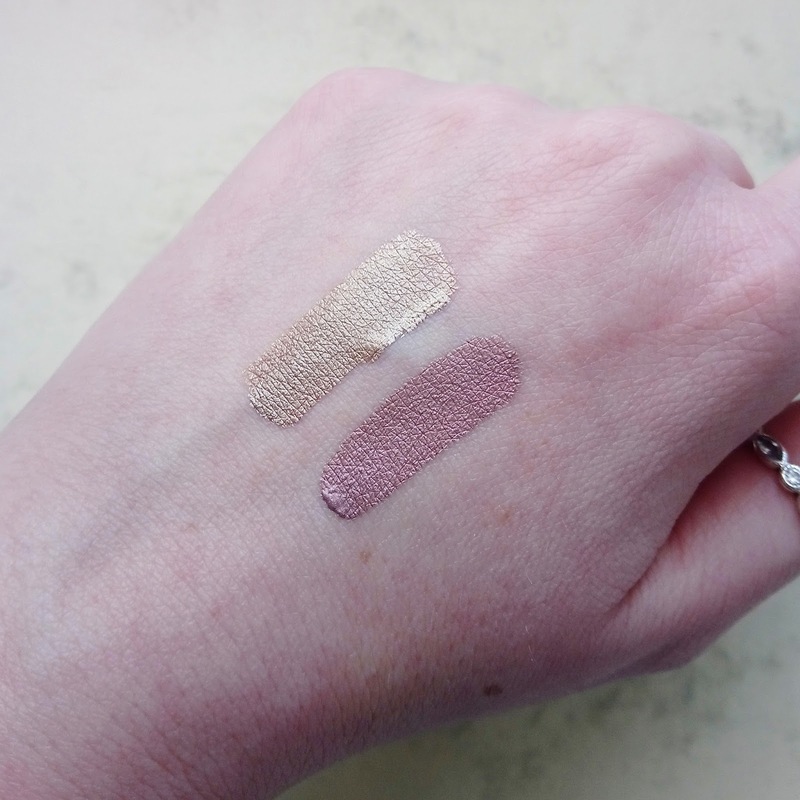 At first glance look really similar but you'll see in the swatch below that Blissful is far more pink than Pillow Talk. The cream eyeshadows have a doe foot applicator which makes it really easy to place on the lid but you're gonna need a brush to help put it in place and blend out. When I applied Pillow Talk I only applied a small amount and then left the house however noticed that this creased really bad into my eyes, like you're gonna need a primer if you have slightly oily eye lids. I was a little underwhelmed when I first tried it because it just didn't seem to have impact I was hoping for. However, I wore it again but this time I applied a first layer, let it dry and then packed on again a little more and it lasted a lot longer and looked exactly how I wanted it to. These sell for £4.99 which I think is a fantastic price for what they are, plus they are small and easy to pop into your make up bag. If you like a shimmery look then this is a really easy way to create that look, it won't last for a crazy amount of hours but it will last an look good if you take your time with it. 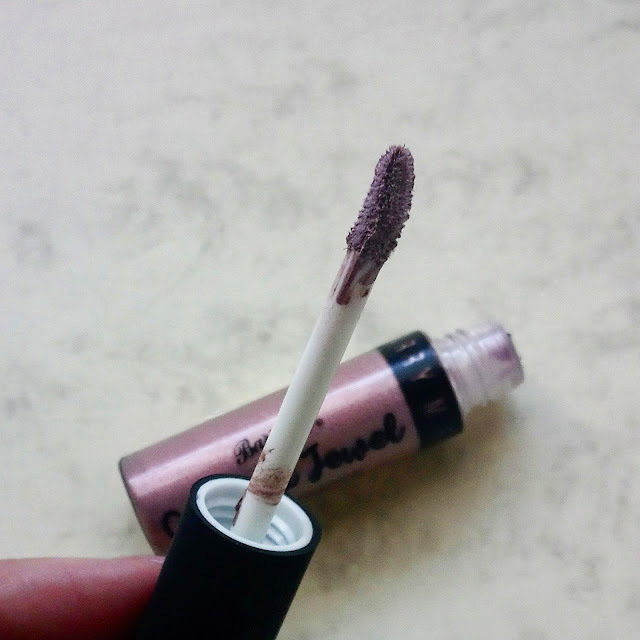 Have you tried any of the Crushed Jewel eyeshdows?